One of the Mariners’ hits was by Guillermo Heredia, making his first start in left field after offseason shoulder surgery. The Mariners had cautioned Heredia to play it safe in the field, and he made it through the game without incident. “We’ll keep building up his at-bats and get him comfortable in there, but there were no issues with him,” Servais said. Juan Nicasio and Edwin Diaz, who will be late-inning relievers for the Mariners this season, each turned in a perfect inning. Nicasio struck out two, Diaz one. “He’s a master of disrupting timing. That’s what he does with the quick steps and the pause in his delivery. It’s something we’ve introduced to a number of our guys this spring. Some guys are grasping onto it and seeing the advantage of it, and he’s the perfect example of what you can do without overpowering stuff. He really pitches. It’s about getting the hitter uncomfortable, and that’s what he does.” – Servais on Giants starter Johnny Cueto, who blanked the Mariners for three innings with five strikeouts. 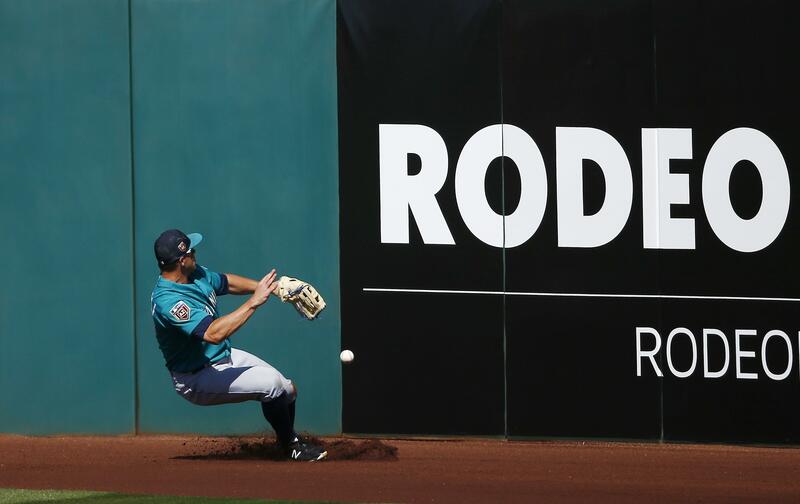 After three straight home night games, the Mariners return to day action on Friday and will hit the road to play the San Francisco Giants at Scottsdale Stadium. James Paxton, coming off a start in which he gave up seven runs in 1 2/3 innings against Texas, will be on the mound for the Mariners. Andrew Moore is also scheduled to see action, while Jeff Samardzija will start for the Giants. First pitch is set for 12:05 p.m. PT. The game will be broadcast live on mariners.com. It will not be televised.